Original – where is all begins! All flavours in our range use our original blend of worcestershire, herbs and spices as a base before adding specific flavour ingredients. 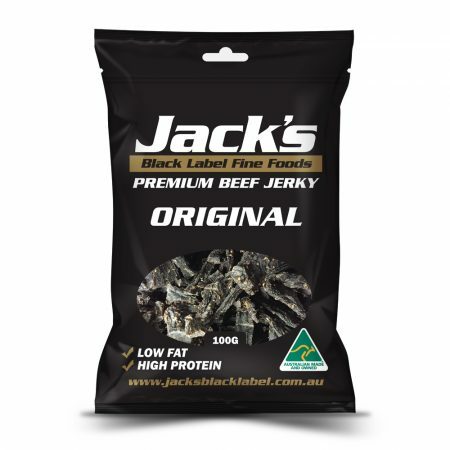 If you prefer the simple flavour of beef jerky this is the flavour for you. 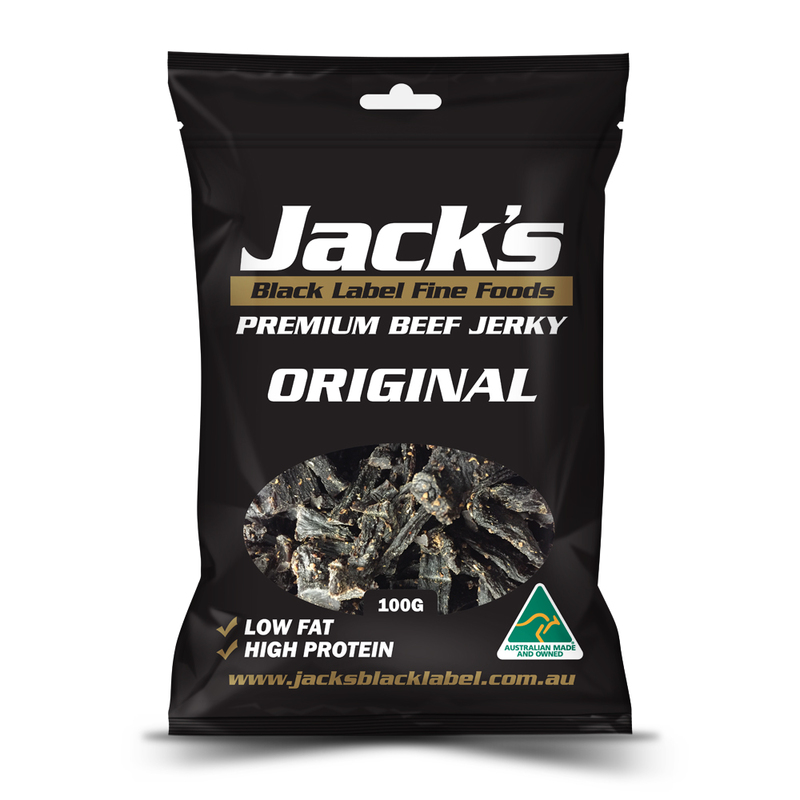 All Jack’s Black Label Beef Jerky is made using 100% Australian lean topside beef which is prepared and mixed with our special recipe of herbs and spices along with worcestershire to develop rich flavours. Our jerky is air-dried in our specifically designed drying room before being cut into bite-sized pieces ready for you to devour! If you would like to learn more about our products click here. SKU: ORIG. 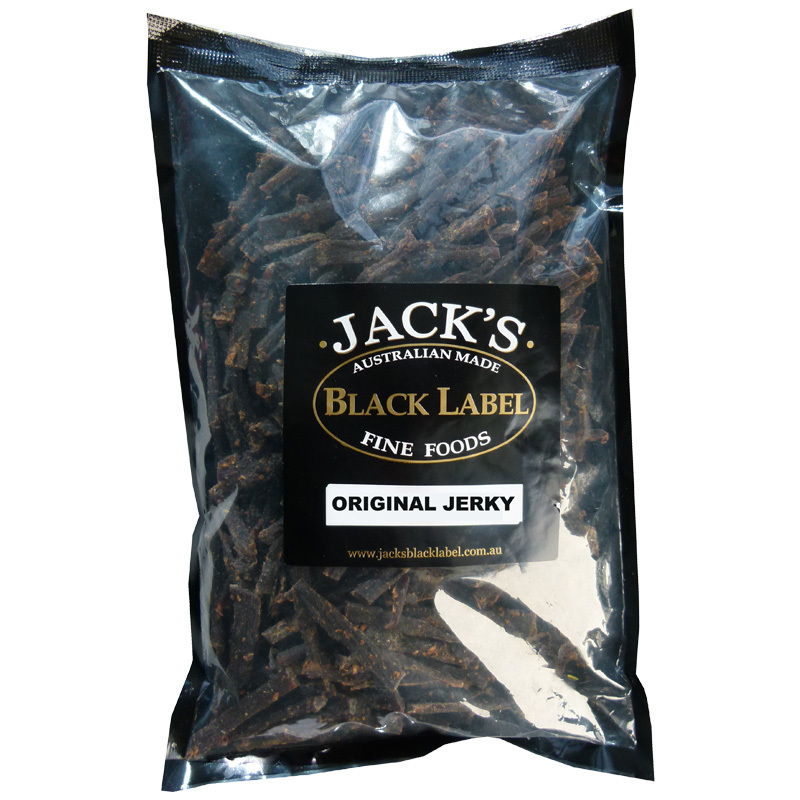 Category: Beef Jerky Packs. 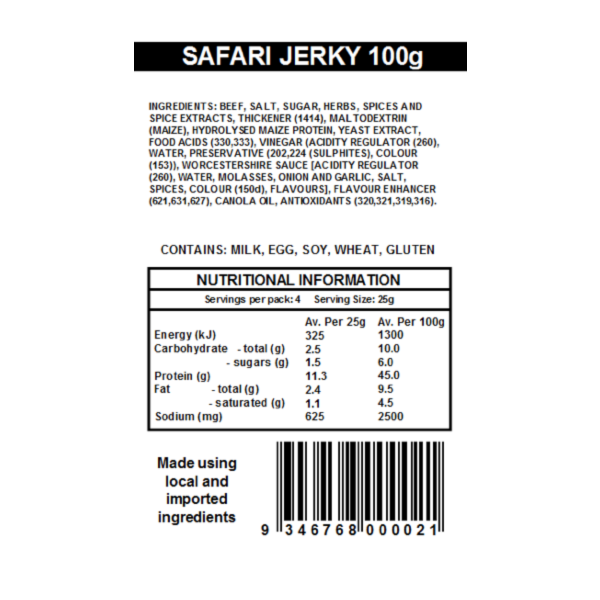 Join The Jerky Crew to receive exclusive special deals in your inbox from The Jerky Shop! 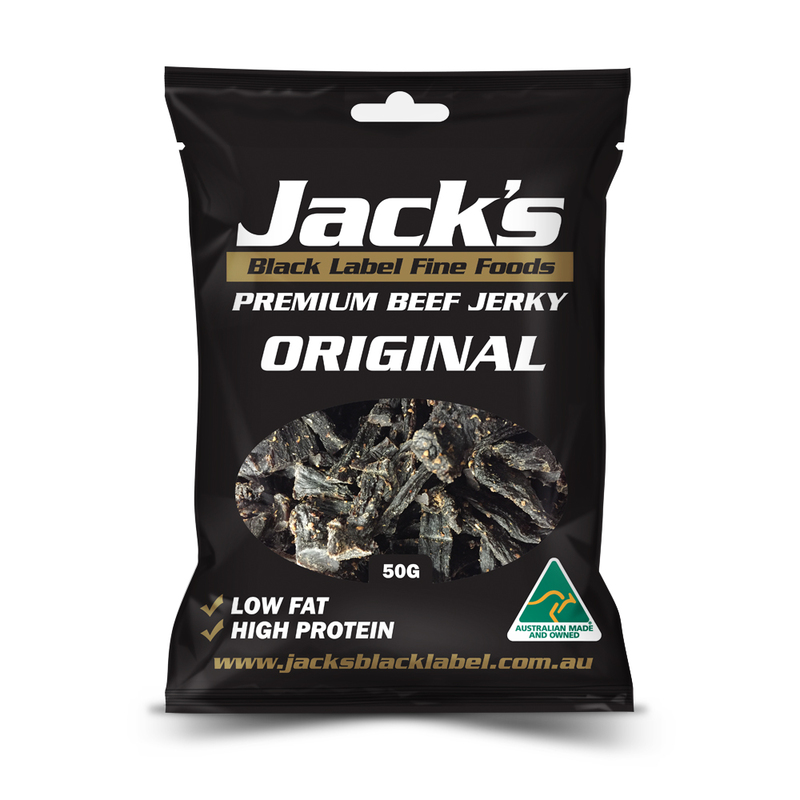 Jack's Black Label Fine Foods is proudly Australian Made and Owned.